1, to provide the required CO2 photosynthesis of plants. 2, safe, professional, high quality. 3, the appearance of epoxy paint handling, with antioxidant. 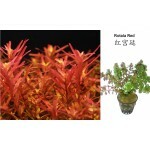 4, suitable for planted tanks, cylinders software. 1. CO2 Pressure Regulator (Magnetic Valve included) has passed quality testing. It is ready to install without any further adjustment. 2. Easy to install and maintain.